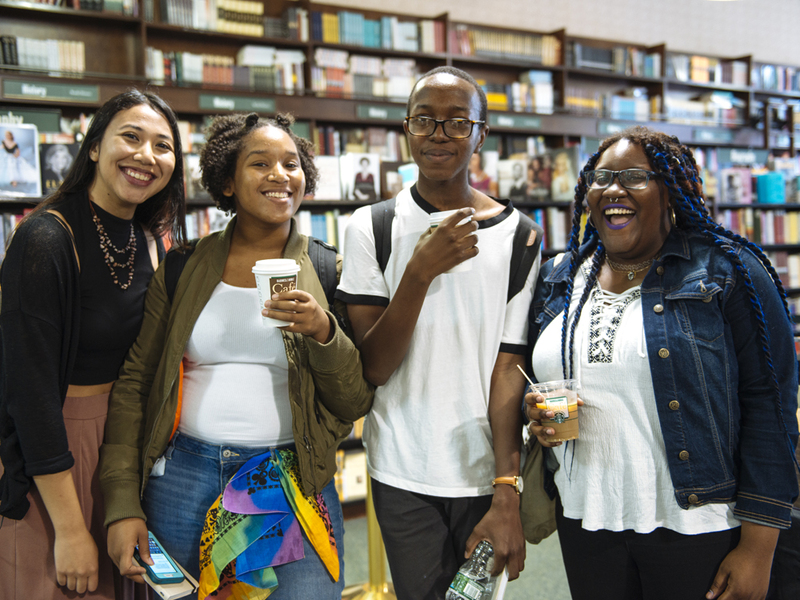 Readings & Workshops (East) director Bonnie Rose Marcus writes about Poets & Writers’ Connecting Generations seventeenth annual Intergenerational Reading held at Barnes & Noble at Union Square in New York City. On Saturday, June 23, Poets & Writers held its seventeenth annual Intergenerational Reading at Barnes & Noble at Union Square, where we’ve held the reading for the past seven years. As I listened to the thirty-six writers from the ages of eleven to eighty-six, I thought back to the beginnings of this celebratory reading, when we were given a grant in 2001 from the Louis and Anne Abrons Foundation to conduct writing workshops at senior and teen community centers. Visiting the programs, I was moved by the diversity of voices, and the similarities and differences in the generations. I thought it would be inspiring to bring these generations together. The first Intergenerational Reading was held in a community room at the Goddard Riverside Community Center’s NORC Program, with about six readers and an audience of about twenty. This year’s writers were from six programs funded by our Readings & Workshops program: senior writers from the Goddard Riverside Community Center, Grand Street Settlement, the Center for Black Literature at Medgar Evers College in collaboration with Siloam Presbyterian Church, Kew Gardens Community Center, and the Stanley Isaacs and Lincoln Square Neighborhood Center. The teen and young adult writers were from Kamit Preparatory Institute, the National Domestic Writers Alliance, Leslie-Lohman Museum of Gay and Lesbian Art, Newtown Literary Alliance, Concourse House, and Office Hours Poetry Workshop. Hosting our event was veteran host Regie Cabico, a recipient of a Poets & Writers’ Writers for Writers Award in 2006. A pioneer of spoken word, and the first openly queer and Asian slam poet to take top prizes, Regie continues to perform his unique blend of poetry, stand-up comedy, and theater, and teaches writing workshops throughout North America and the United Kingdom. Regie’s enthusiasm was contagious. It was evident that each reader felt honored and respected, and was cheered on by Regie and the audience, a full house of about seventy-five people. The writers shared work about loss, abuse, and love: a Tibetan woman read a poem about the suffering in her country, another writer shared a prose poem featuring Noah (and his ark) and Donald Trump, and there were many moving pieces about the challenges and celebrations on life’s journey. Photos: (top) Dena Igusti, Aaliyah Daniels, Solomon Mussings, and Shakeva Griswould from Urban Word NYC (Credit: Christian Rodriguez). 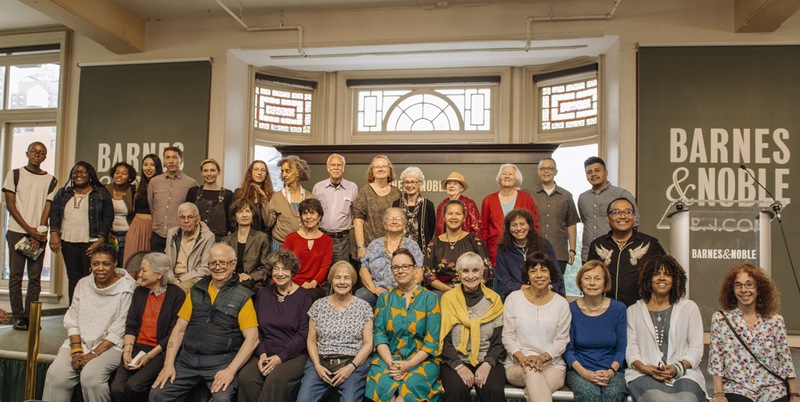 (bottom) Participants of the 2018 Intergenerational Reading (Credit: Christian Rodriguez).